Former cricketer David Gower, Lily Allen's Inheritance Tracks, author Anne Atkins and her son. Nisha Katona talks about leaving a career in law to follow her passion for cooking. 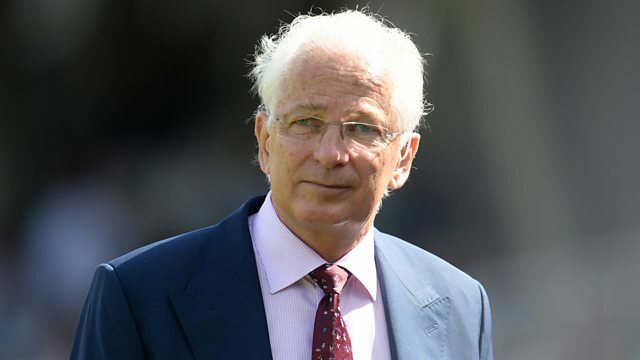 David Gower talks about his life in cricket and how spending his early years in Africa inspired his passion for wildlife. Anne Atkins has been inspired to write about her son Alex, who has Asperger's. They discuss their relationship and how Alex has learnt how to read people. Clive Collins explains why Christmas trees are so important to him. Singer Lily Allen shares her Inheritance Tracks - she has chosen I’m Always on a Mountain When I Fall, performed by Merle Haggard and Fix You by Coldplay. And from the courtroom to the kitchen- Nisha Katona tells her story.